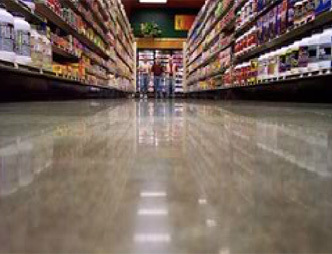 Concrete Polishing is without a doubt the most important flooring alternative to become available within the last 10 years. 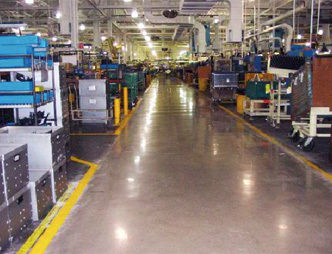 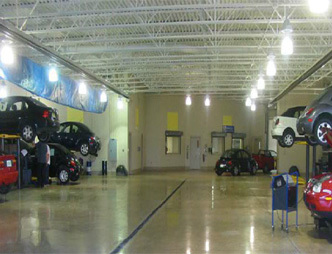 The surface of the concrete is ground and polished, then a penetrating hardener is applied. 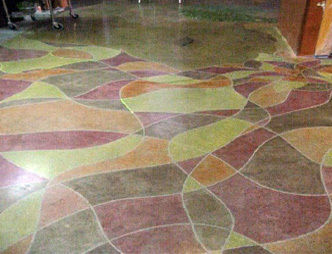 The result is a surface that is highly reflective, beautiful, durable, abrasion resistant, environmentally friendly and easy to maintain. 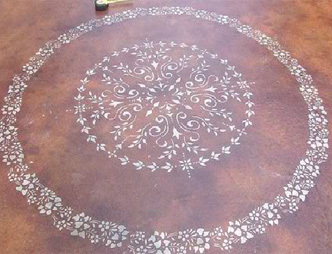 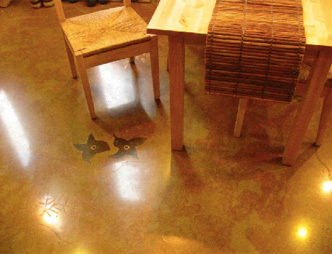 You may already have one of these beautiful floors in your home hidden beneath an ugly, tiled or carpeted surface! 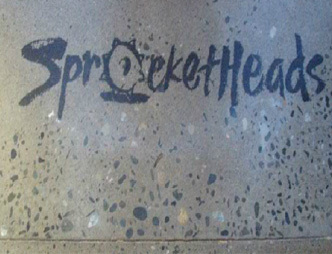 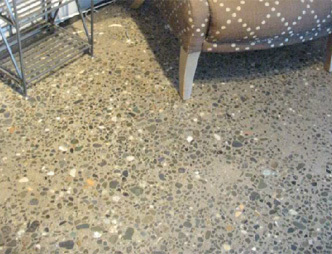 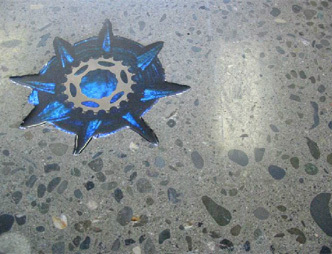 Polished concrete has become the featured floor of choice not just in upper level homes but, just about everywhere. 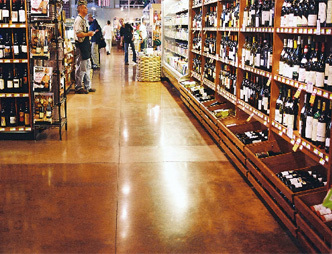 It is being used in new and older homes, churches, schools, factories, distribution centers, stadiums, movie theaters, office buildings, well known department stores, home centers ... anywhere a beautiful durable floor is desired. 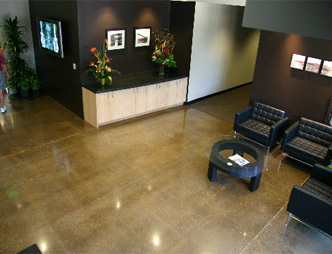 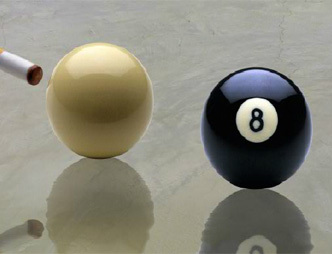 It is appropriate for both new construction and remodelling projects. 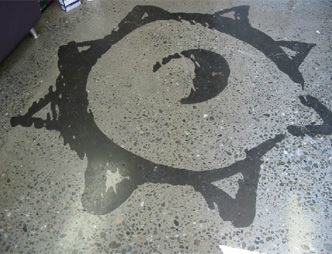 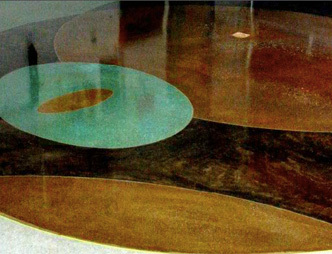 Using our artistic concrete stain technology concrete polishing can be done in conjunction with permanent stains to provide a dramatic floor that is beautiful, aesthetic and economical.